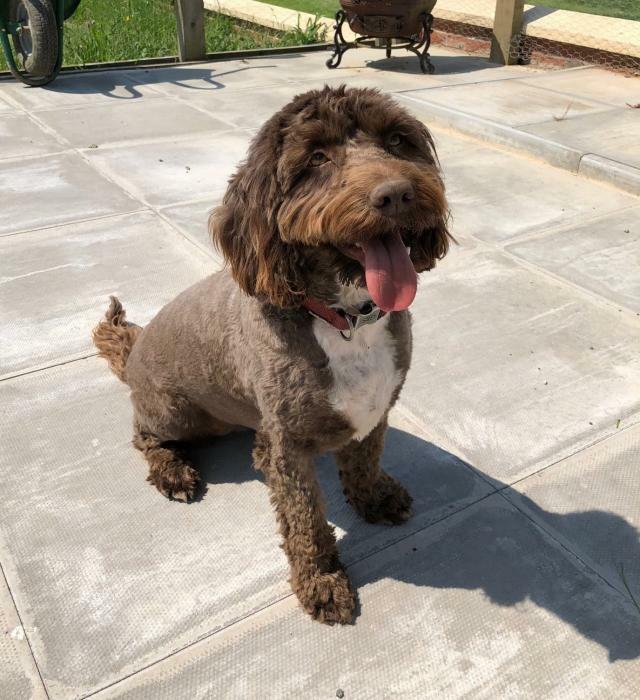 Ruby is a two and a half year old spoodle, a cross between a springer spaniel and a poodle. She is a faithful family dog who enjoys jumping into the car to visit friends and those who are sick. She really enjoys playing and loves nothing more than a swim in the river. Ruby follows all commands and is a really reliable dog, adored by all who meet her. Ruby enjoys sleeping on her back and is never far away from her toy ball. Download the form on this page, fill it in and send it back to the Charity to support Ruby as she visits patients at the hospital.